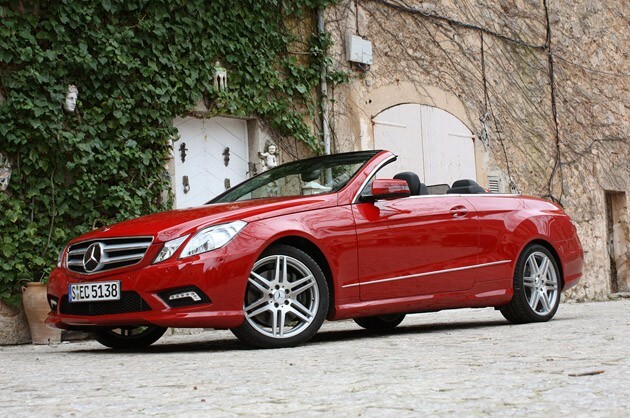 The new four seater convertible from the Mercedes-Benz stable does full justice to the hype surrounding its arrival. Armed with a set of premium features, the new 2011 Mercedes-Benz E-Class Cabriolet provides a luxurious and well-sheltered interior. Armed with one-inch thick canvas top with good sealing capabilities and a solid chassis, the convertible presents a whole set of unique qualities, including the new feature called Aircap. The Aircap is essentially a motorized airfoil that works from the windshield header in association with a power-actuated rear wind blocker that rises with the rear headrests to reduce in-cabin air turbulence. Apart from the Aircap technology, the car provides an improved version of its Airscarf in-seat neck vents, along with seat warmers and a new HVAC system. The car was launched on the Spanish island of Majorca, where officials assured that the car is a four-seasons convertible for four passengers.